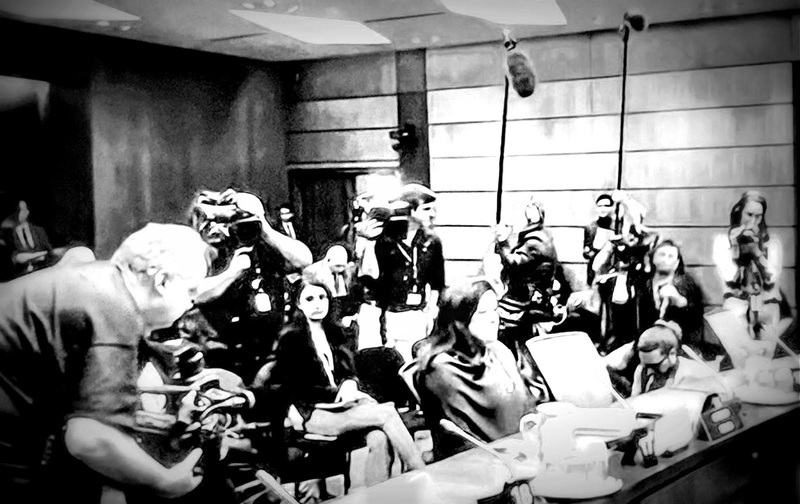 I finally got to watch the whole tape of Jody Wilson-Raybould's appearance before the House of Commons Justice Committee. 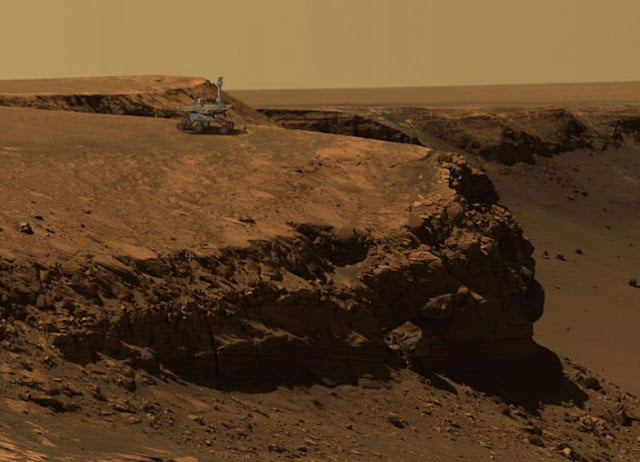 Or at least most of it, for it went on beyond the limits of human endurance. I was not impressed with the content of her presentation. And whatever the Con media says, I still think it's a ridiculously overblown fake scandal for the following reasons. 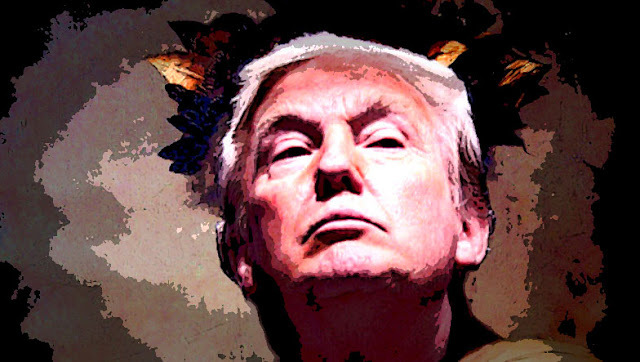 It was one of the most appalling spectacles I have ever witnessed, a deplorable assault on the very foundations of our democracy. 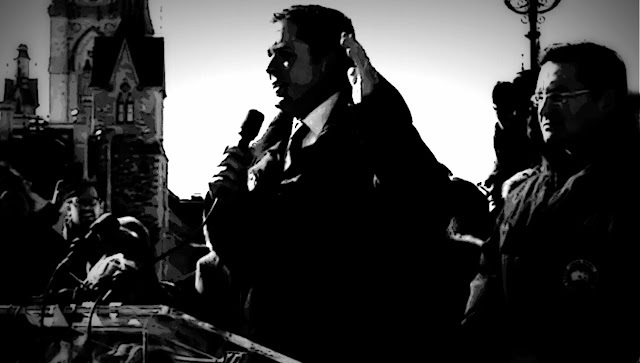 The sight of Andrew Scheer, the Leader of the Opposition, on Parliament Hill, addressing a rally riddled with racists and far right extremists. 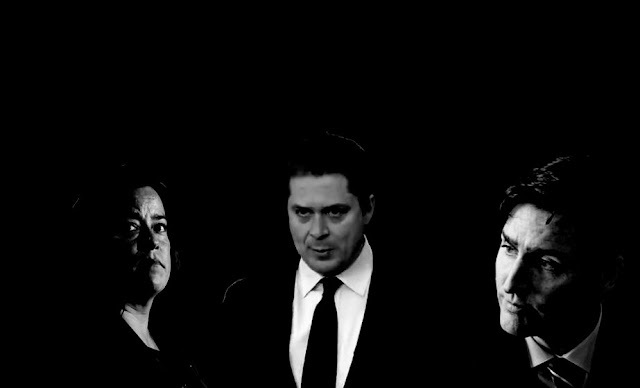 Members of a grotesque yellow vested movement whose members frequently call for Justin Trudeau to be charged with treason, and executed. 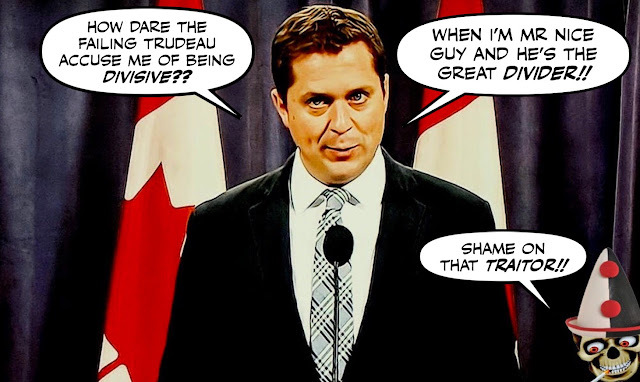 And what makes it even more disgusting, is that Scheer is refusing to apologize. 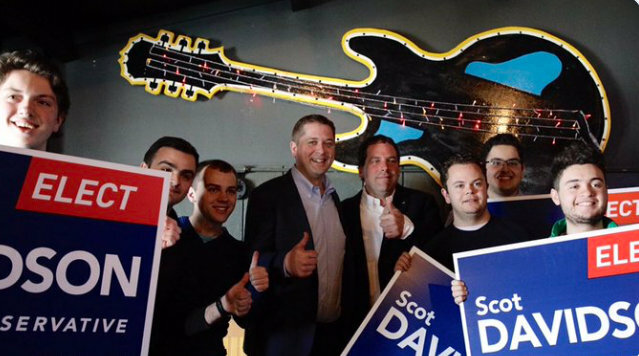 They tried to make Andrew Scheer look like a winner, by posing with the Con candidate Scot Davidson who retained a safe seat in the York-Simcoe by-election. 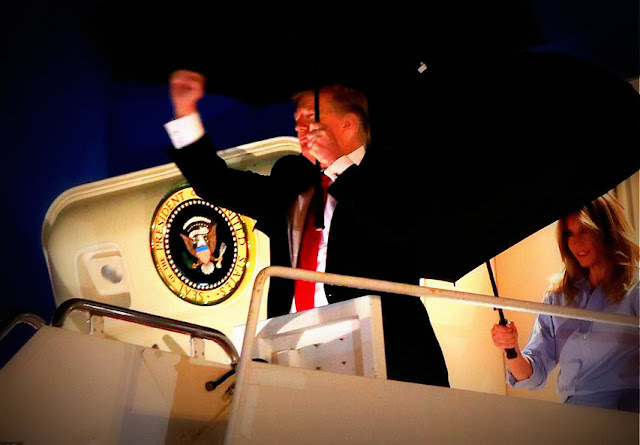 And giving us all a big thumbs up. But that's the only result he got to celebrate last night, for the other two by-elections were an absolute disaster. 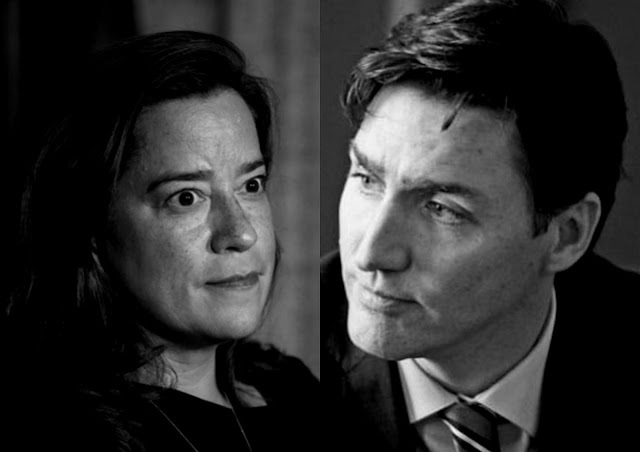 So Jody Wilson-Raybould is finally going to get a chance to tell her story, or "her truth" as she likes to call it. 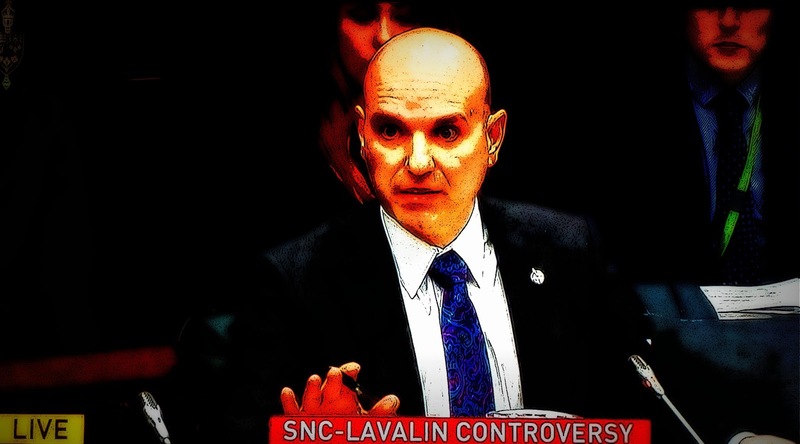 The Trudeau government tonight issued a broad waiver allowing former justice minister Jody Wilson-Raybould to tell the Commons justice committee details of her conversations with government officials about the SNC-Lavalin affair. 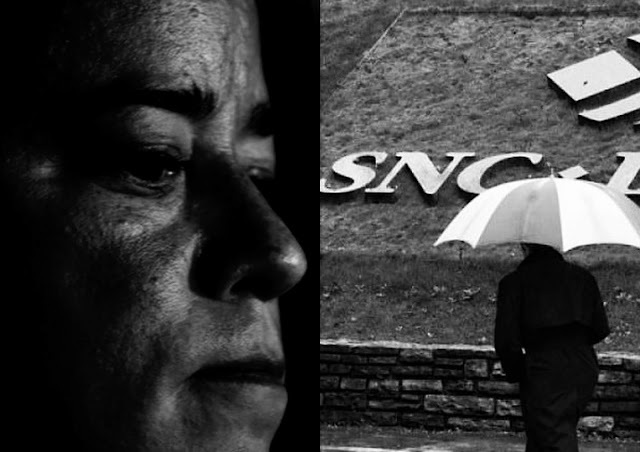 Even if, strangely enough, she claims she's anxious to appear, but in no hurry to testify. 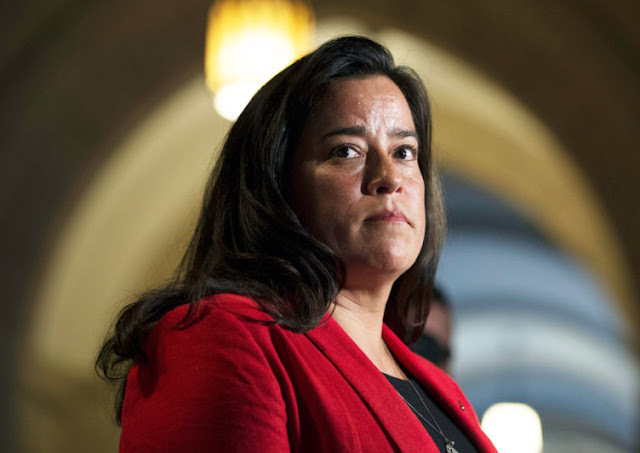 Wilson-Raybould sent a letter to the chair of the committee today saying she is anxious to appear, but wants to hold off scheduling an appearance until clarity has been reached about what she is legally allowed to share. Lordy. 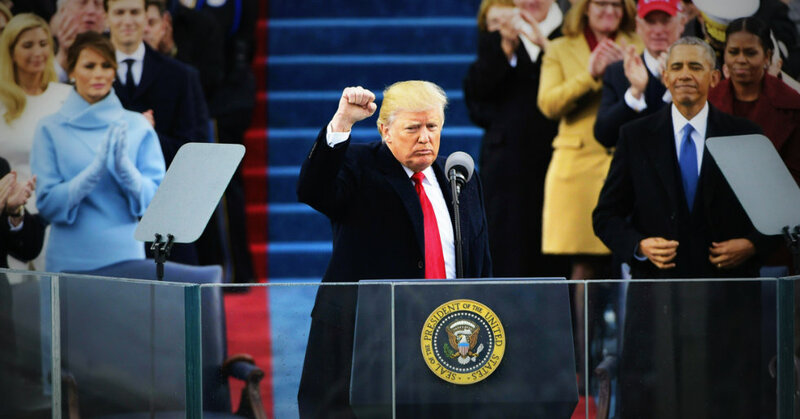 What a difference a day makes. One moment the press gallery hacks in Ottawa were in a feverish state of arousal. They thought the fake scandal, the one they had manufactured out of a flimsy anonymous sourced story in the Globe and Mail, and blown up like a balloon until they were blue in the face, was about to destroy Justin Trudeau. 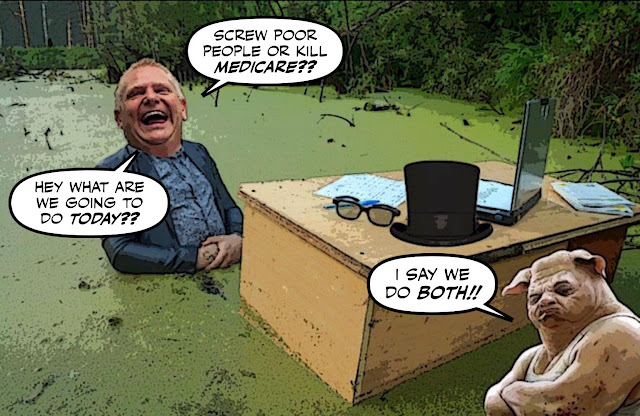 They thought the justice committee hearings would finish him off, please their corporate masters, and maybe even save their jobs. 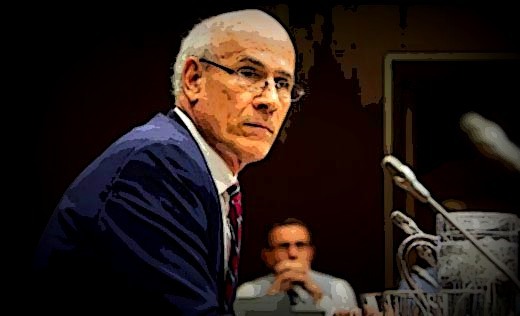 I was incredibly impressed by Michael Wernick when he appeared before the Justice Committee for three big reasons. One, he blew the fake scandal right out of the water. 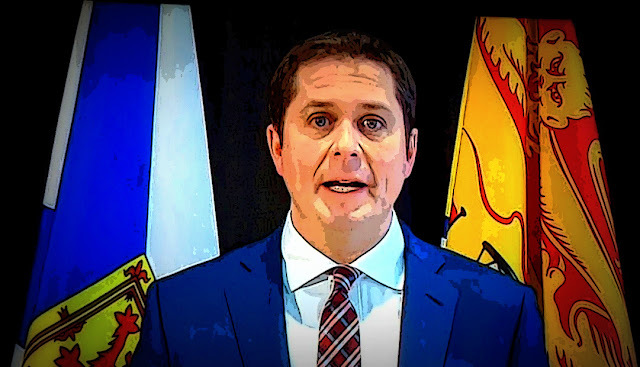 Two, he said the original Robert Fife story in the Globe, upon which the whole hollow scandal was constructed, "contains errors, unfounded speculation and, in some cases, is simply defamatory." Which was music to my ears. And three, he issued a grim warning. 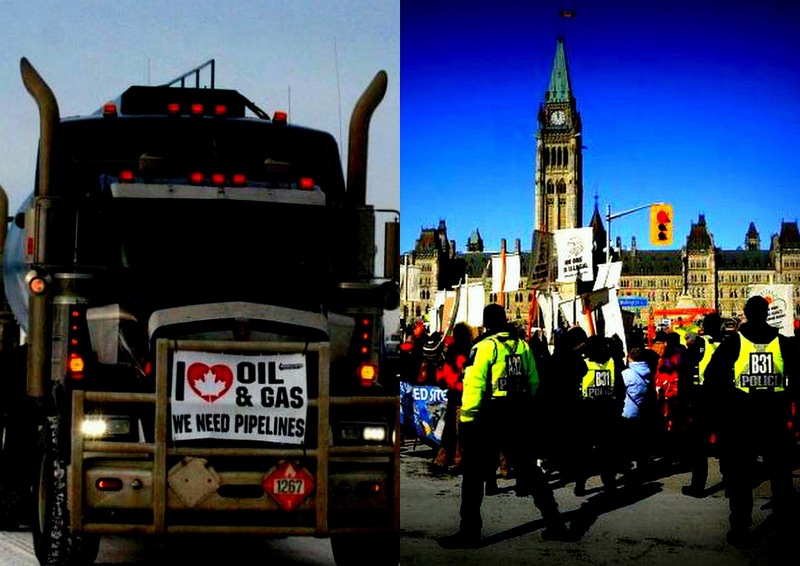 This should have been the biggest story in Canada yesterday. 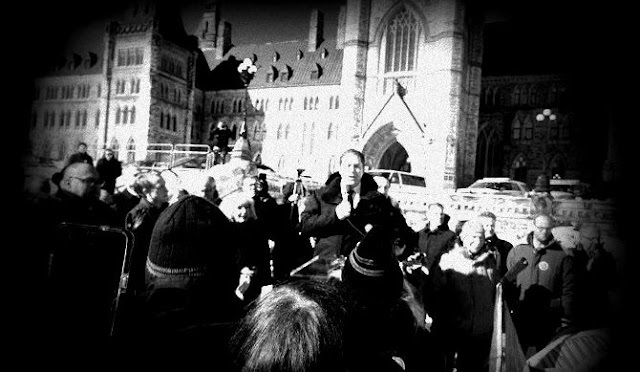 The sight of Andrew Scheer addressing a gathering on Parliament Hill that was riddled with racists and other far-right extremists. Members of a movement who routinely accuse Justin Trudeau of treason and demand that he be executed. But instead our ghastly Con media ignored that story, concentrated all its efforts on trying to pump up that fake legalistic scandal that doesn't threaten the lives of anyone. 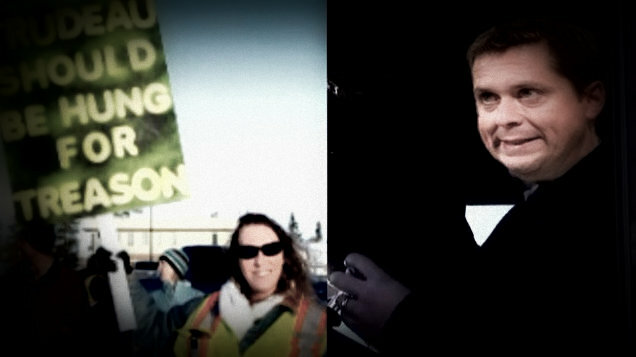 And even ignored this deeply disturbing incitement to violence from the Con senator David Tkachuk. 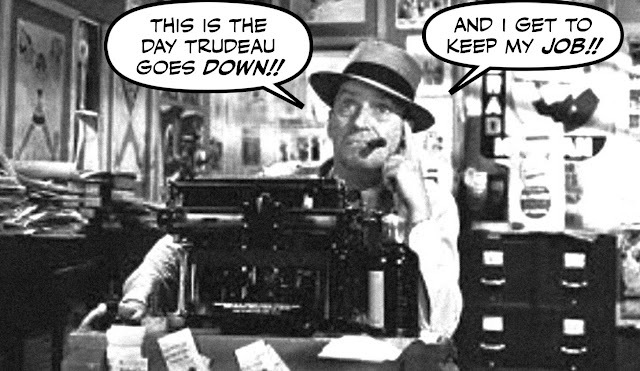 After the way the ghastly Con media has gone after him, you might think that by now there wouldn't be much left of Justin Trudeau. And that the old zombies from the Parliamentary Press Gallery would by now be fighting over who gets an arm and who gets a leg. 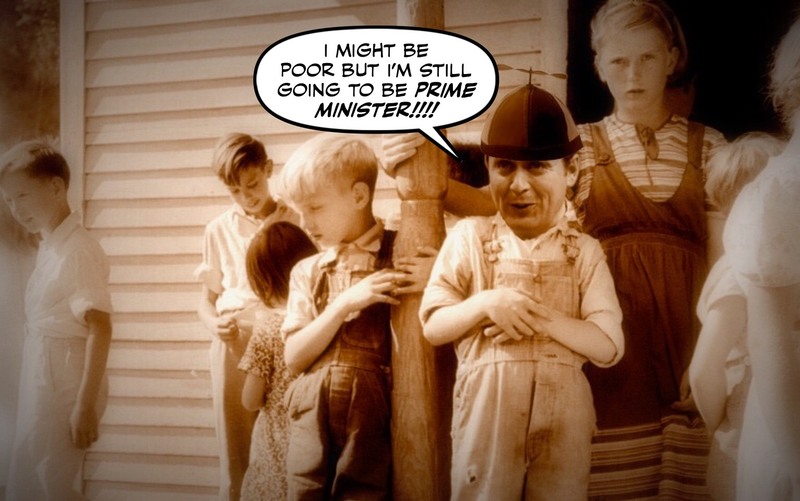 Or proclaiming that there is no need for an election because Trudeau has already lost. 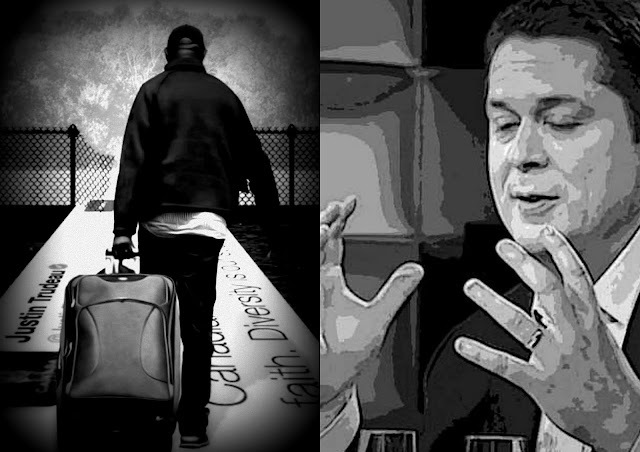 By most honest accounts Andrew Scheer is a religious fanatic, a racist, a misogynist, a closet homophobe, a climate change denier, and a serial liar, who likes to smear his opponents over and over again. 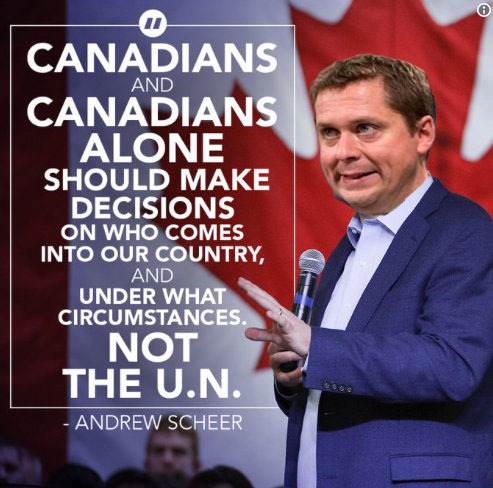 He's also a man who dreams of being prime Minister so he can force seniors to pay for their own retirement, allow religious extremists to invade university campuses, and dismember our medicare system. So whatever the Schmearmonger is, or claims to be, he's definitely NOT a moral leader. By any known standards, the media coverage of the SNC-Lavalin affair has been a journalistic horror show. 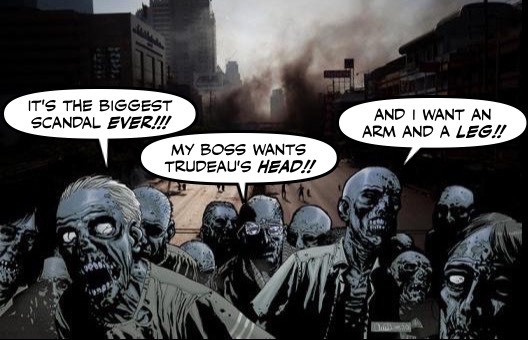 A freakish zombie apocalypse, where the walking dead in the Ottawa Press Gallery insist it's the BIGGEST story in the world. Give it saturation coverage, and try to force it down our throats. 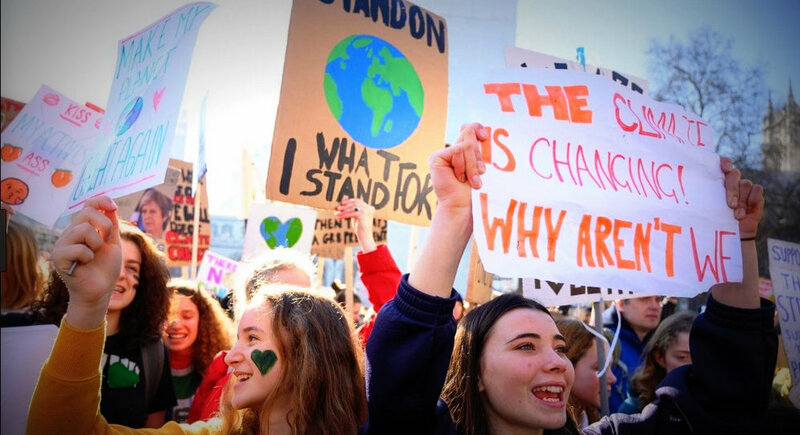 It was amazing sight, thousands of children and teenagers protesting all over the U.K.
After going on strike, and walking out of their classrooms, to demand action on climate change. The newest generation joining the war on global warming. I knew that there was something truly evil lurking in the shadows of that fake scandal. Even if I couldn't see it, I could smell it. The Cons claimed they were just standing up for the rights of Jody Wilson-Raybould, because she's an indigenous woman, and hates Justin Trudeau. Even though many of their supporters, who dance to the dirty dogwhistle of their master Andrew Scheer, are the worst misogynists and foul anti-native bigots in this country. 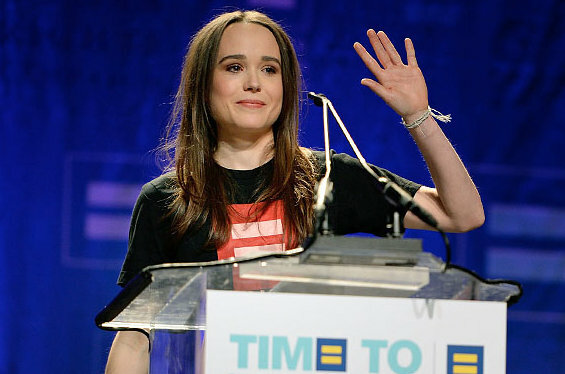 And this is what that fake, outrageously hyped "scandal," is really all about. It's not always easy to love our country at this time of the year. 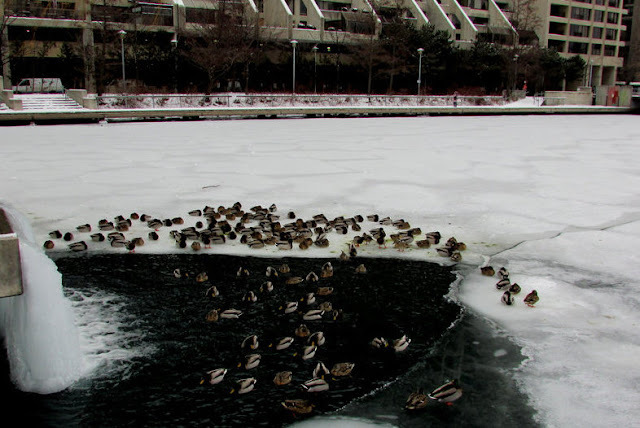 Not when it has been so cold recently the ducks where I live have been reduced to splashing around in this small hole in the ice, in a bay frozen solid. And we are forced to listen to the annoying sound of the Canada haters who quack and wail about how they wish they lived somewhere else. 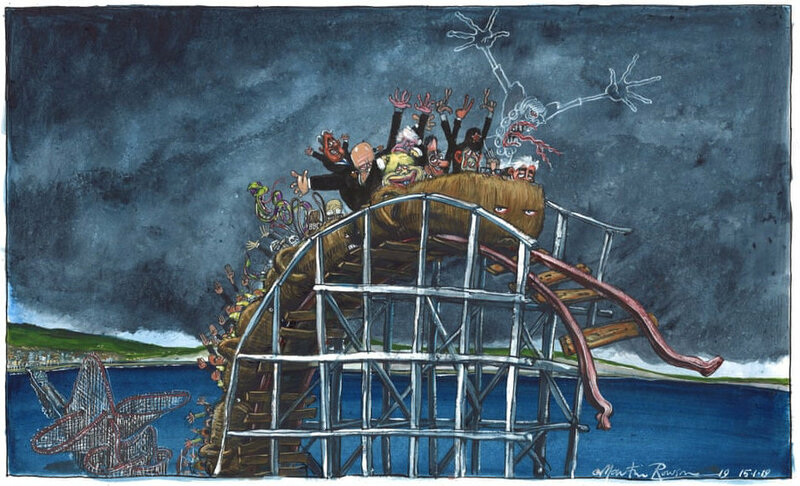 And of course, nobody hates this country more all year round, than do our ugly Cons. I remember wading ashore six years ago, at a place called Gibraltar Point on the Toronto Islands, and coming across an amazing sight. 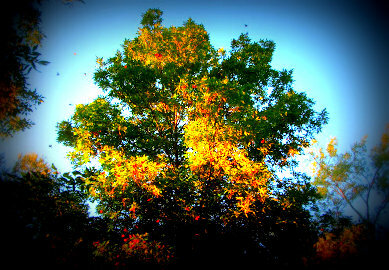 Thousands of monarch butterflies clustered on a couple of trees getting ready to fly south across Lake Ontario. What made it even more special, was that I had helped expand a milkweed patch nearby, and I thought this was my reward. But then the next year I hardly saw a monarch anywhere. 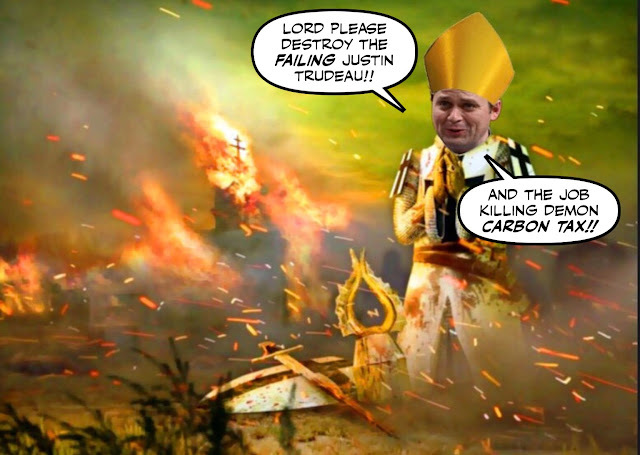 As everybody knows Andrew Scheer and his climate change denying Cons are on a crusade to try to destroy the Liberal government's carbon tax plan. A tax Scheer blames for everything, and I mean everything. And he isn't the only Canadian Con leader who feels that way. It was long, very long. 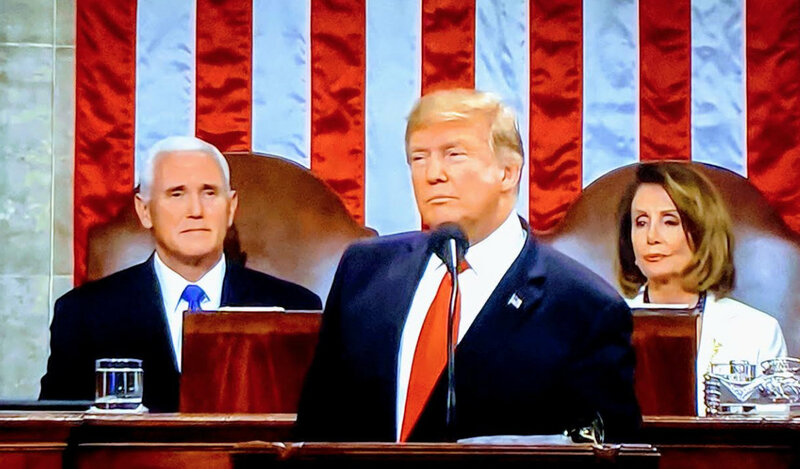 His claim that investigating him was bad for the economy was pathetic. The way he demonized immigrants was disgusting. His failure to mention climate change even once was criminal. People are hoarding food and medicine. 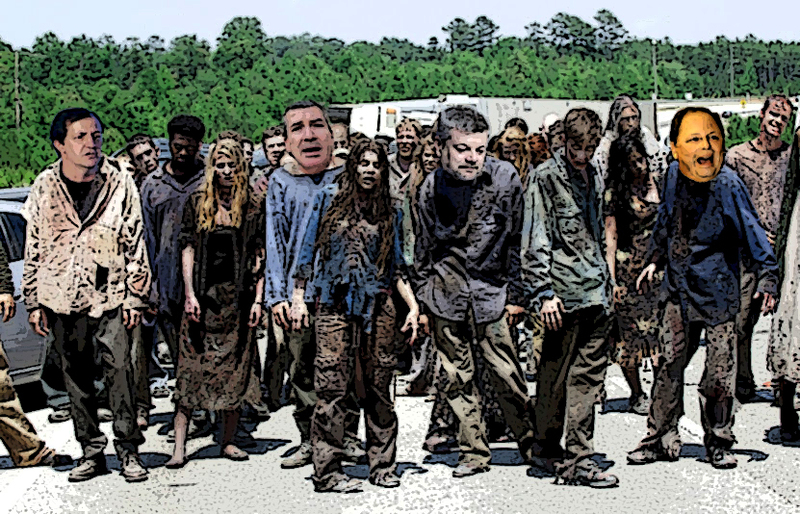 There are plans to invoke martial law if riots break out. And now it seems even the Queen is threatened. 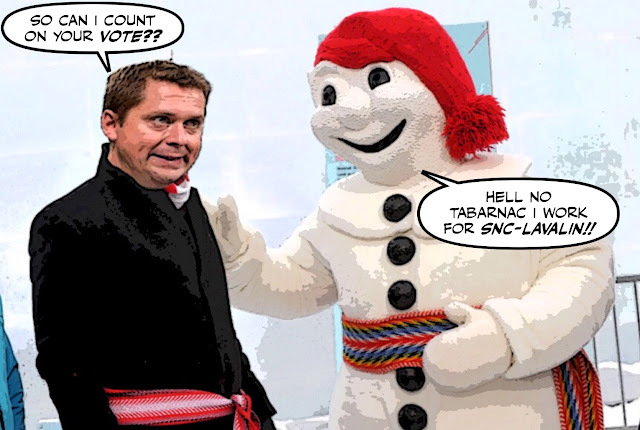 As you may have noticed, ever since Mad Max Bernier laid siege to their castle, Andrew Scheer and his Cons have been spewing out attack ads at a rate never seen before. 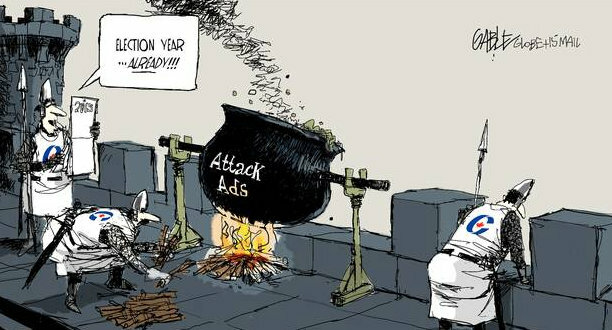 They are now averaging about two a day, and those ads are ever more desperate and ever more disgusting. Like many people in this country, I couldn't believe it when I saw Andrew Scheer cheerfully proclaim that Justin Trudeau was more divisive than he was. I was stunned that Scheer and his handlers, could seriously believe that they could get away with a whopper like that one. In what kind of parallel universe are they living? When the creepy Con is clearly, without the shadow of a doubt, the most relentlessly negative, most divisive, most fear-mongering, and most serial lying politician in modern Canadian history. 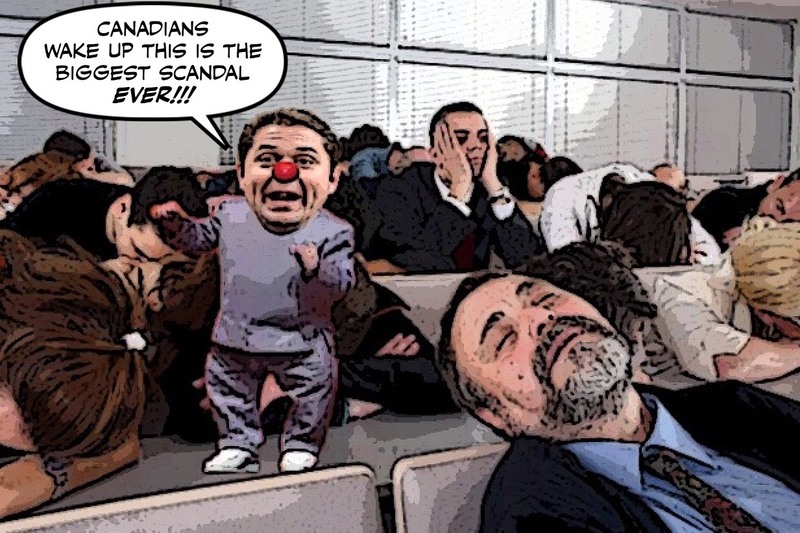 But at least I knew that Scheer would never get away with that goody two shoes act for long. And sure enough he couldn't. In one of my last posts, I looked at how Andrew Scheer and his ugly Cons have been whipping up racism and xenophobia all over the country. Helping to pour fuel on the flames of the same kind of bigotry that has already claimed the lives of six peaceful worshippers of a Quebec City mosque. As well as triggering a wave of death threats aimed at Justin Trudeau.